Komandor’s Studio line is a sliding door system that works without the use of a bottom track. The doors hang from their rollers which glide through the top track and a pin is installed in the floor to guide the bottom of the door and keep it from swaying. 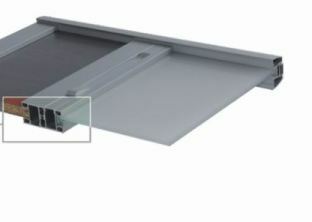 The track can be mounted to a wall or ceiling. Since there is no bottom track in the threshold of the doorway, this system lends itself to partition door applications where a door or pair of doors slides along a wall like a barn door. 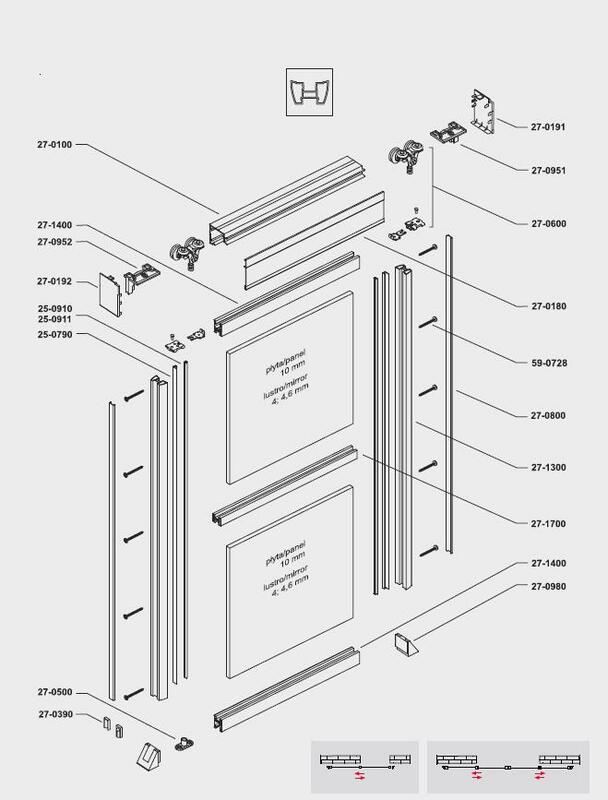 Single insert Studio door – The face of this frame measures about 20mm (about ¾”) wide and has rounded edges that act as the finger pull for opening and closing the door. 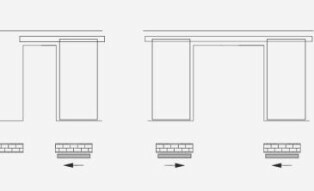 The frame accommodates a wide variety of insert materials and has joiner rails to divide the door with different materials. The shape of the frame is the same front and back so the door has the same look front and back. 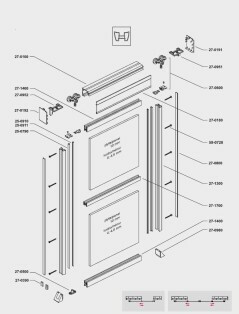 Double insert Studio door – The face of this frame measures about 12mm (about ½”) wide and gives the door almost a frameless look. This frame also accommodates a wide variety of insert materials and has joiner rails to divide the door with different materials. The double insert system is unique in that it allows one door to have different designs front and back. For example mirror on the side of the door that faces into a bedroom or bathroom and use panel or painted glass on the other side of the door that faces the hallway.